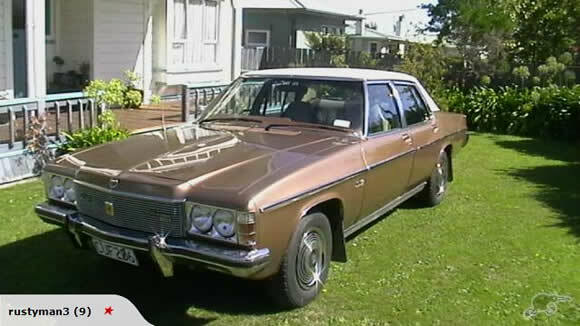 This 1979 Holden Statesman is a great example of beautiful motoring and looking at the price of it on Trademe.co.nz an appreciating classic. The Holden Statesman was a car I relate to as a grunty Westie wagon, generally driven by a mechanic, who wants the luxuries the Statesman came with and the power of a V8 for doing skids. When the HZ was introduced it major feature was "Radial Tuned Suspension' which gave it a better ride but at the expense of handling. Every one of them I can remember had the suspension changed and the ride height dropped a few inches. Beautiful cars that still turn heads today. Become a fan of the CAR137 Facebook page here >>.